Looking to sell a Liebherr Digger or Excavator? Do you have a Liebherr digger or excavator for sale? Are you looking to sell your Liebherr Digger or excavator? Is your Liebherr digger or excavator up for sale? 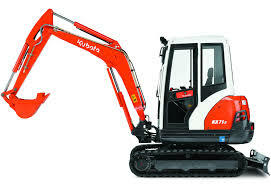 Is so, then Sell My Digger is the right site for you. 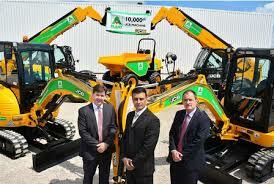 We can give you a fast cash quote for your machinery. Take it off your hands and give you the space and extra cashflow to put towards the things your business really needs. Liebherr started out as a family business in 1949, with Hans Liebherr at the helm building mobile, easy to assemble tower cranes. It was on this basis that the company thrived and grew into the multi-national corporation it is today. The company still retains family values with the third generation of the Leibherr family now all involved in management within the group. Liebherr operates more than 130 companies in many different countries across the world, each offering a variety of different construction machinery makes and models. On offer are a wide range of hydraulic excavators, mobile excavators, crawler cranes, crawler track loaders and much more. We are keen to speak to anyone with Leibherr machinery, no matter the make, model or age of the equipment. At Sell My Digger, we will pay cash for your unwanted Leibherr diggers or excavators, and it only takes a few minutes to find out just what your unused digger is worth. Simply contact us using the form on the site, giving us a few details about your Leibherr equipment, along with any photographs if possible. Once you have submitted this, a member of the team will be in touch with you within the next day or so to confirm exactly how much we will pay in cash for the diggers you no longer use. There’s no obligation to sell, so there’s no excuse not to get in touch today.